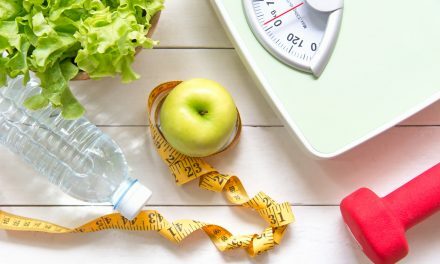 Is there more to weight loss than just dieting and exercising? For some people, it’s just that easy. But for those women who just can’t lose that ‘belly bump,’ there is more to the equation of what makes our bodies tick. It turns out many recent studies have shown bacterial imbalances to be a common culprit for issues such as weight, stomach discomfort, or even oral issues. What is a Bacterial Imbalance? There are two kinds of bacteria in our guts: the good and the bad. Certain environments promote bad bacteria to grow and thrive, pushing the good ones to the back row. 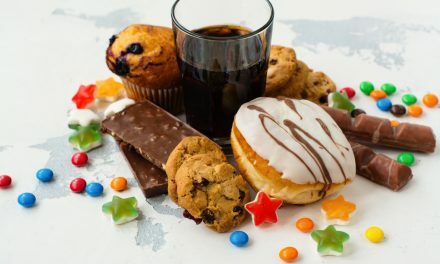 Imbalances can be caused by taking antibiotics, consuming high amounts of sugar, and eating processed foods. The results of an unhappy gut are damaging in ways we might not even realize. Low energy, irritable bowel syndrome, diarrhea, yeast infections, and weight gain are all related to having too much bad bacteria! We have probably all heard the word ‘probiotics’ thrown around. Either in the news, on a yogurt advertisement, or even your next-door neighbor bragging about her ‘probiotic supplement.’ But what does this fancy new word mean? Just like we have bad bacteria, there are good bacteria inside us too. These little guys are known as ‘probiotics,’ and we can thank them for when our bodies are healthy. 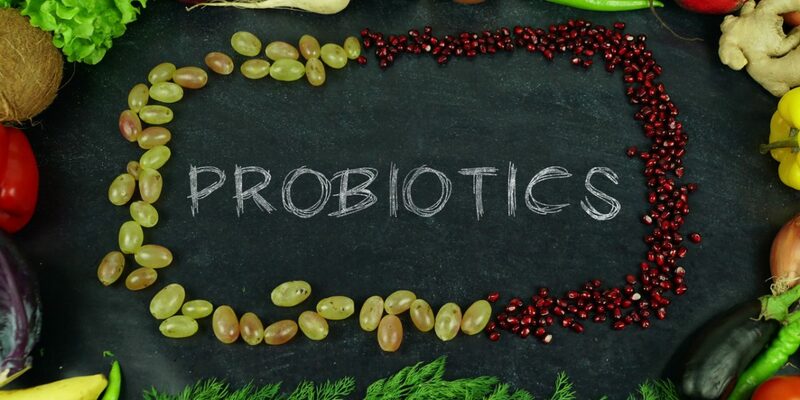 When probiotics outnumber the bad bacteria, we have more energy, less digestive issues, balanced pH levels, and can be more successful in our weight loss efforts at last! So if this is such a big breakthrough, why isn’t everyone meeting their weight loss goals? Just like any health secret, there are plenty of falsehoods behind it. What makes this probiotic supplement better than that one? What are all these long words on the labeling? First of all, let it be known there are many types of probiotics, all of which do different things. One of the most effective ones to look for is lactobacillus acidophus DDS-1. This one can last up to eight days in the gut once consumed. Lactobacillus gasseri has shown signs of being one of the best probiotics for weight loss. Here’s a secret known to anyone who is successful at losing weight: there are no quick fixes. Probiotics will be ineffective if its consumption isn’t accompanied by healthy habits. Remember at the beginning of the article where I said sugar consumption could lead to an imbalance of bacteria? In order for the good bacteria to thrive, we have to make efforts to cut off the food source for bad bacteria. Sugar is hiding behind the label of ‘healthy’ foods. This is why it is important to read nutrition labels when shopping at the grocery store. Some cereals marketing themselves as ‘healthy options’ have more sugar than Frosted Flakes. One of the most common ways to consume probiotics also might be what is preventing it from being so effective: yogurt. Greek yogurt is all the buzz nowadays. And with good reason. This was one of the first foods to start advertising its active cultures. But most yogurts have extremely high amounts of sugar due to the sweetened flavoring. Before you purchase any food advertising its ‘active cultures’ or its ‘probiotics,’ make sure you read the label. If it doesn’t have under eight grams of sugar or under, move on! The good news is there are plenty of ways to access this good bacteria. There are probiotic supplements in grocery stores, and pretty much every vitamin store you can find. But you need not go out of your way. 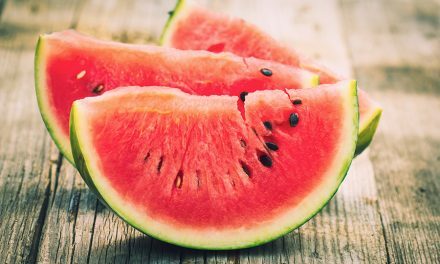 Some everyday foods can give you the extra boost you need to finally nip away the remainder of that belly fat. Yes, it was stated in the previous section that yogurt could be the mortal enemy to our probiotic consumption. However, yogurt low in sugar is a great way to start your day and get your gut balanced. Plain, unflavored Greek yogurt will typically contain about three grams of sugar. You can add fruit in with it to add some flavor. Look for yogurt brands higher in protein to help keep you fuller for longer. Kefir is similar to yogurt but tends to be less thick and can often be consumed as a liquid drink. It contains more probiotics than yogurt. It is also much easier on stomachs sensitive to dairy products. Along with its probiotic benefits, there is some evidence to support anti-inflammatory benefits. Yes, this form of cabbage is good for something besides a Rueben sandwich. Cabbage itself is very good for you, but in its fermented form, we get double the benefits! Clean juice cleanses are one of the latest health trends, but kombucha puts them all to shame. While many juices contain high amounts of sugar, this drink is nothing but the good stuff. Essentially, it is formed by fermenting lightly sweetened tea. Most kombucha drinks have different flavors or other things mixed in such as ginger, turmeric, lemon, celery, apple, kale, and orange.